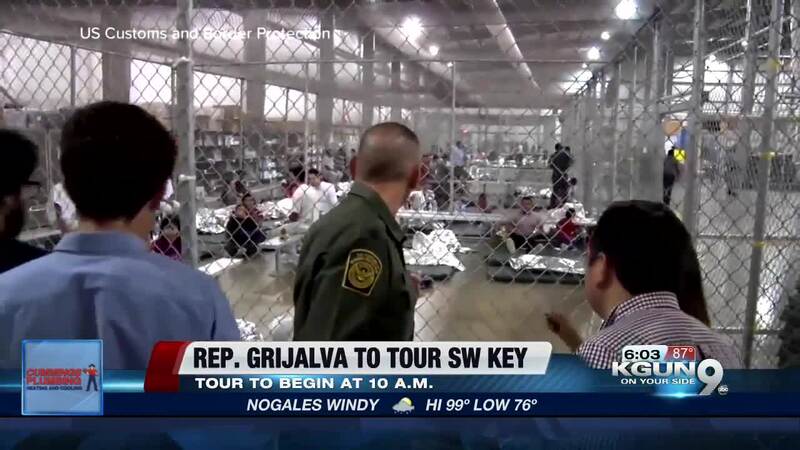 Congressman Raul Grijalva is expected to visit the Southwest Key Facility in Tucson, Friday July 6. 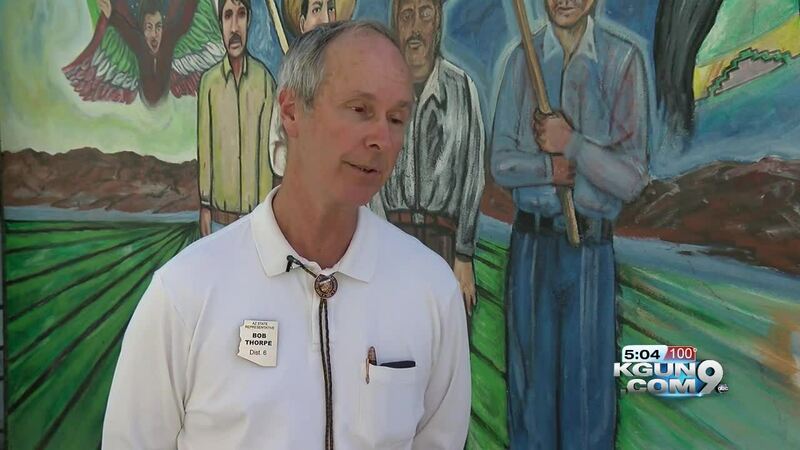 After waiting weeks to tour a Southwest Key facility which houses migrant children a group of Arizona lawmakers spent two hours inside of one Friday asking administrators questions and observing conditions. More than one dozen Democrats and one Republican from the House of Representatives entered the facility on Oracle just after 10:00 a.m.. When they re-emerged, the entire group said the conditions inside were good, but some Democrats say the tour felt staged. 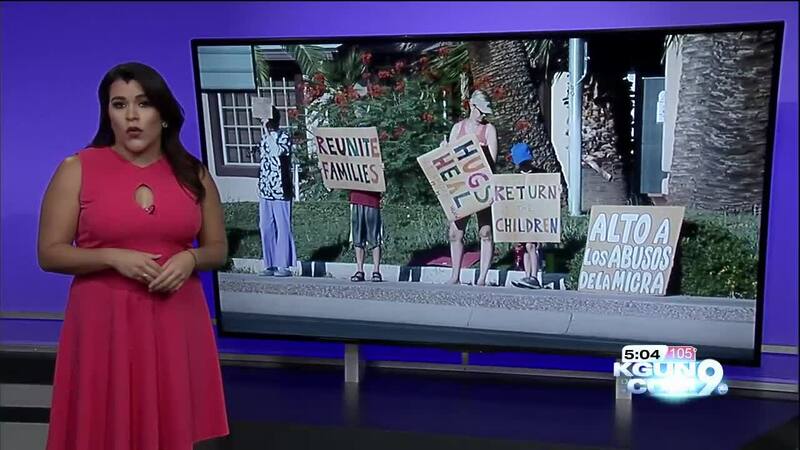 “We were not allowed to interact or see the children, really,” said Rep. Kelli Butler (D, Paradise Valley). Rep. David Stringer was the only Republican on the tour. “The care being provided to these young people, I think, is exceptionally good,” he said. Stringer has ignored his own party's and Gov. Doug Ducey’s calls for him to resign following racially insensitive remarks he made in June. He has since apologized but Gov. Ducey and the Arizona Republican Party Chairman say they stand by their calls for him to step down. Following the tour, Stringer said the government is doing the right thing keeping separated children in well-kept facilities, Democrats challenged him. He was cut off. “I'm going to interrupt you because you're painting a rosy picture,” Rep. Charlene Fernandez (D, Yuma) yelled, interrupting Stringer. Reporters pressed him if touring the facility changed his mind about family separation. “I think given the fact that these children have either been brought across the border illegally, or have come across the border illegally on their own, that my government is providing good care of these unaccompanied minors I’m proud of what my government is doing and I want to be able to assure my constituents that we're doing right by these young people,” he said. A federal judge has set a deadline of July 26 for the government to reunite all children older than five years old and parents separated at the border. “We asked them, over and over what is the protocol, they don't have it,” Fernandez said. The facility is housing 294 unaccompanied minors, according to Rep. Butler. Of that total, this facility received 84 children separated at the border and still has 73 inside. Butler say staff told her they have reunified, or deported, 11 children. The Tucson location houses children 5-17 years old. These democrats say they want the state to have more oversight of facilities like this but because immigration falls under the jurisdiction of the federal government, it is unclear how, exactly, that would happen.